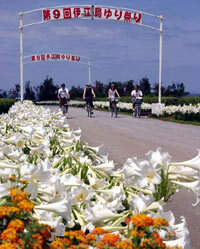 Ie Island on Okinawa’s northwest coast is excited about its 13th annual Ie Island Lily Festival, which gets under way Saturday. The festival mixing more than 200,000 Teppo Yuri lily blossoms, music and dance this year spans three weekends, running through May 5th. Read More! 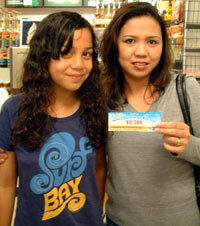 Maria Rodriguez is the winner of a gift coupon to Kupu Kupu beauty Salon. She is from Orlando, Florida but has lived on Okinawa five happy years. Read More! Thousands of brilliant colored streamers shaped like fish are popping up across Okinawa to commemorate Kodomo no hi, Children’s Day, with the biggest and the best lining the Hija River in Kadena Town. Officially, the Hija River Festival begins Sunday, with thousands of the carp streamers flying from bridges, roadways and buildings. Read More! Political wrangling that has stalled the planned move of Okinawa-based Marines to Guam has the US Navy and Congress eyeing a shift instead to Hawaii. Congressional funding to design new facilities to accommodate the 3rd Marine Division and 12th Marine Regiment was announced this week by Neil Abercrombie, one of Hawaii’s two members of the House of Representatives. Read More! Traditional Japanese kimonos are going on sale this weekend at both Kadena Air Base and the Okinawa Convention Center, and prices have never been lower. 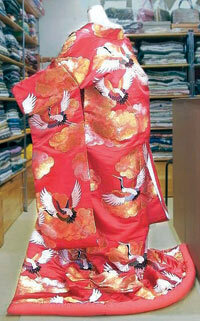 The ninth annual Kimono Sale will take place at the Kadena Air Base Officers Club Sunday and Monday, and at the Convention Center Tuesday and Wednesday. Read More!